You can contact the administrator of the facility because it is their job to conduct an investigation. 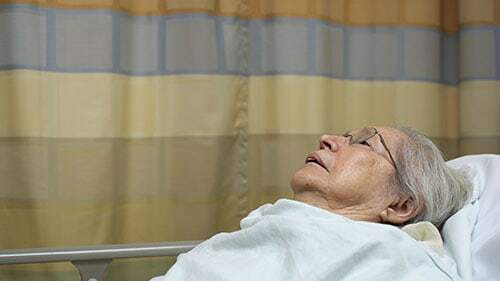 You can also contact a nursing home negligence attorney so that you can have someone fighting for you at every step of the inquiry as well as any later action that might develop. You can seek medical attention so that your injuries are not worsened. There are many other things that you can do if you have been the victim of nursing home neglect or abuse in Illinois, but we find that these are the most important and immediate tasks to accomplish before moving on to others. What Can You Recover In A Bed Sore Case? How Can Chicago Injury Attorneys Help You? The medical bills that the bed sore injuries caused you. The transportation and other miscellaneous expenses from to the ordeal. The added pain and suffering that these sores created. Any disability that the bed sore complications left you with. The reduced quality of life that you might experience because of injuries. The funeral expenses and lost support that the death created if the sores led to his or her passing. A thorough investigation of the circumstances of the injuries as well as conduct of every person involved including nursing home staff, medical personnel, and others involved in the incident. Drafting a complaint for relief and damages as well as related motions, interrogatories, depositions, and miscellaneous court documents. Presentation of arguments and examinations in court as well as depositions and communications with opposing counsel out of court. A complete understanding and analysis of all laws, cases, and regulations implicated by the bed sore incident. Needless to say, this list is not exhaustive. It is merely meant to highlight the most fundamental components of an attorney's role in an Illinois bed sore litigation. This should give you some insight into their value and worth if you are to bring one. Rosenfeld Injury Lawyers LLC helps clients bring claims against nursing homes every year. This kind of defendant is normally well-resourced and highly-financed. It takes a lot to win against them. However, we have a track record of doing just that. Plus, we offer free consultations and contingency agreements so that we can represent you for no charge until the whole affair has conclude. Call Rosenfeld Injury Lawyers LLC now and begin down your road to recovery.